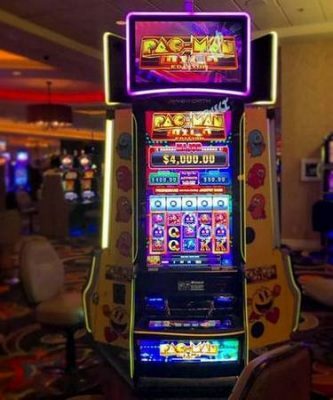 Prefer golf over a slot game? Topgolf Las Vegas boasts 107 climate-controlled hitting bays, two pools, cabanas, a concert venue, VIP suites, five bars, special event spaces, dining, and a Callaway Fitting Studio. Located on eight acres just behind MGM Grand Hotel, it spans four levels and 105,000 square feet. Among the 31 Topgolf locations around the world, the Las Vegas venue is the biggest. Of course; this is Las Vegas. It features interactive golf games in hitting bays that can host up to six players at one time, with lounge-style seating and HD televisions. Games can be enjoyed by all ages and skill levels with the accuracy and distance of players’ shots tracked through micro-chipped golf balls. For more information, try the Topgolf Las Vegas website. Two men who hadn’t seen each other for years met on the street. One asked the other how things had been. Fireworks will be everywhere around Las Vegas’ long Fourth of July weekend, starting Saturday, July 1st. 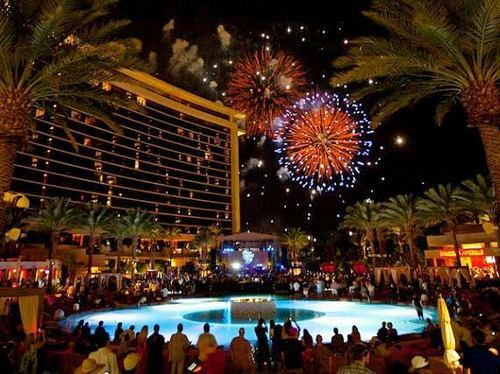 Besides the huge displays at Green Valley Ranch and Red Rock Casino on July 4th, other properties will be popping the rockets at Lake Las Vegas and Caesar’s Palace on Sunday, July 2nd. For the first time, the Plaza (downtown) will have a short 4-minute fireworks display at 10:30 p.m. on Saturday, July 1st. (As of this writing, both the Stratosphere and Mandalay Bay will not be hosting fireworks this year.) Don’t forget to check out the activities in the burbs, which keep going and going! On July 4th, Henderson will be celebrating from 6 until 9:30 p.m. at Heritage Park (350 E. Racetrack Rd. ), which is a move from their Mission Hills location. The gates open at 1 p.m. with free admission and free parking. Besides the evening entertainment with fireworks at 9 p.m., they will have lawn games, a Ferris wheel, hamster water balls, face painting, and more for the whole family to enjoy. They do not allow alcohol, glass containers, sparklers, pets or barbecues. Vendors will be selling hamburgers, hot dogs, ice cream, and other snacks. 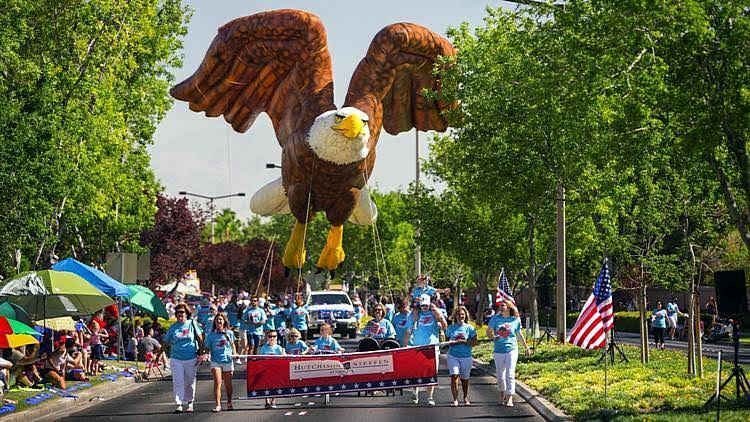 Attend the Summerlin Council’s 23rd Patriotic Parade on the 4th from 8:30 a.m. until 11 a.m. for one of Southern Nevada’s biggest Independence Day parades. They always put on a fun parade with more than 80 entries of giant balloons, floats, marching bands, military vehicles, and cartoon and storybook characters for all to enjoy. The parade kicks off at Hillpointe Road and Hills Center Drive, travels south on Hills Center toward Village Center Circle and ends at Trails Village Shopping Center. Get there early with your lawn chairs and water! 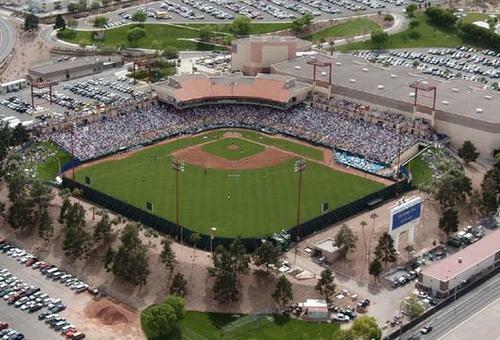 If you want to sit back and relax on the 4th with a minor league baseball game, the Las Vegas 51s are playing the El Paso Chihuahuas at 7:05 p.m. at Cashman Field, with fireworks right after the game. Most tickets are $15 each (plus fee if purchased thru TicketMaster), and there is not a bad seat in the house because the stadium is small. They also try to “entertain” between innings to keep everyone in a good mood.Tips: Buy tickets at the stadium, unless you want dugout seats, they are not usually sold out. There are misters over the seats in the Plaza Seating area, farther up above home plate, which has the overhang providing some shade. Bleachers are along the outfield; however, they have stadium seats near the dugout and behind home plate along with a party zone. You can bring bottled water into the stadium. They do charge $5 for parking (subject to change). general admission in advance or $20 at the gate. Discounts available for seniors, military and under 12 years of age. You can purchase tickets online or at the Speedway. Parking is ample and free. You can bring 1 non-alcoholic beverage (20 oz. or less) in plastic sports bottle or plastic cup or unopened bottle of water. One food item (sandwich, chips, fruit, crackers) can also be brought in per person, but, no alcohol or coolers, folding chairs, fireworks or glass and metal can containers. They usually have specials of cola products, beer and hot dogs for the holiday; just ask if you do not see signs. If you missed the 4th of July week in Vegas, not to worry! There are other events throughout the month for you to check out. 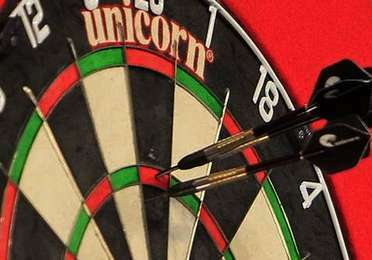 From July 13 through 15 the U.S. Darts Masters Tournament will take place at the Tropicana’s Trinidad Pavilion. This is the first time the Professional Darts Corporation (PDC) has been hosted in the U.S. The events have been played before in China, Dubai, New Zealand, and Sydney, Australia. You will be seeing the winner of the July 11th and 12th qualifier in the eight player championship on July 13th. Any darts player from North America is welcome into the qualifying round. The winner also goes into the 2017-2018 World Championship in London to represent North America. On July 14th the eight competitors compete in the U.S. Darts Masters first round against the eight top PDC stars who were invited to attend. There are quarter, semi and finals played on July 15th. The competitions begin at 1 p.m. and session tickets are $40 (July 13), $50 (July 14) and $60 (July 15) or season tickets at $150. If you are into fighting game tournaments, the EVO Championship Series will be at Mandalay Bay Hotel from July 14 through 16 from 8 a.m. until 11 p.m. This tournament is open to everyone, all ages, and brings in players from around the world to compete and meet. The July 14th and 15th competition is being held in their Convention Center, with the July 16th finals located at their huge Events Center. The top eight competitors share in the prize money. A general admission badge is $40 at the door. 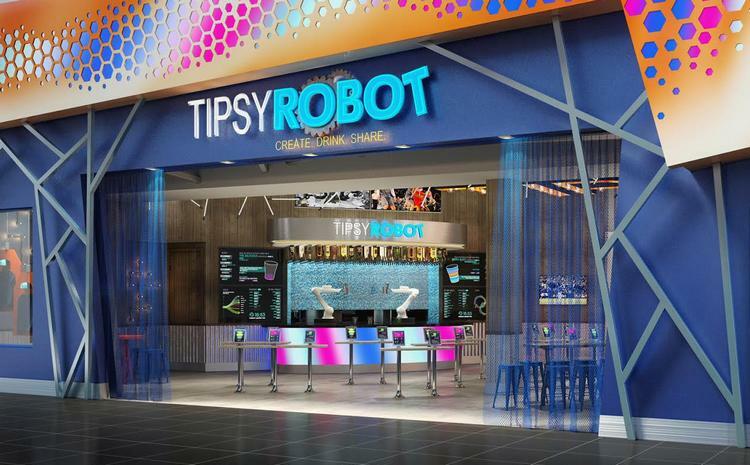 Tipsy Robot, the galaxy’s first Earth-based robotic bar, opened Friday, June 30, in the Miracle Mile Shops at Planet Hollywood. Tipsy Robot is the bar of the future showcasing precision mixology combined with robotic innovation. Tipsy Robot will be open 10 a.m. to 11 p.m. on weekdays and to midnight on weekends. Two cocktail-shaking robots will interact with customers allowing them to order and customize cocktails via the bar’s tablets. The robots mirror the actions of human bartenders, from mixing and pouring, to the slicing of garnishes, and the choice of shaken versus stirred. Each beverage takes 70-90 seconds from order to completion. The high-tech venue’s interior design will include metal mesh, corrugated steel, and an otherworldly cosmic-inspired video streaming on the bar’s nine big screens. Robots; however, won’t be running the entire operation. The “Galactic Ambassadors,” human staff, will complement the robot bartenders. Singer Lena Prima, youngest daughter of Louis Prima and singer-songwriter Gia Maione, will bring her musical celebration “Old Vegas and New Orleans!” to the Suncoast Showroom on Saturday, July 8 at 8:30 p.m. Tickets start at $15. Prima began her musical career performing on stage touring with her parents during her summer vacations. She studied art, music and dance at the University of Nevada, Las Vegas. In 2000, Prima showcased “Louis Prima, That’s My Dad!” at the former Sahara, where her father performed during the early 1950s. Throughout her more than 30-year career, Prima has released five albums. 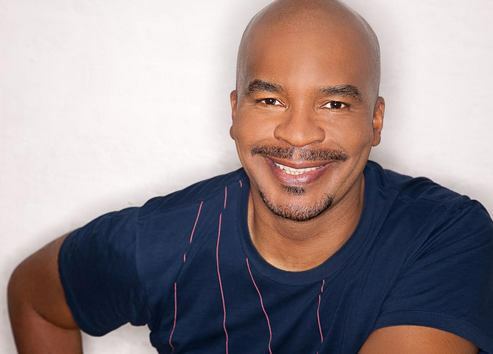 Stand-up comedian and Broadway, film and television star David Alan Grier will perform at the Treasure Island Theater with Kira Soltanovich, who spent three seasons on “Girls Behaving Badly,” on Friday, July 14 at 9 p.m. Tickets start at $49.95. SLS is extending poolside offerings with “Sunset Sounds” at the Foxtail Pool through summer. The indoor/outdoor event boasts live music, small bites and cocktails from 8–11 p.m. every Friday and Saturday night, and there’s no cover charge. July are features local artist Rick Duarte – who has opened for Fuel, OK Go and was a backing vocalist for Cheap Trick’s Sgt. Pepper Live Show.